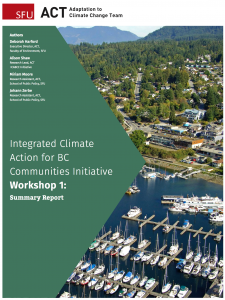 On January 10, 2019, ACT SFU’s Integrated Climate Action for BC Communities (ICABCC) Initiative kicked off with an inaugural workshop that brought together 12 BC communities representing urban and rural areas, large and small municipalities, First Nations, and regional districts, all at different stages of adaptation and mitigation planning and implementation. 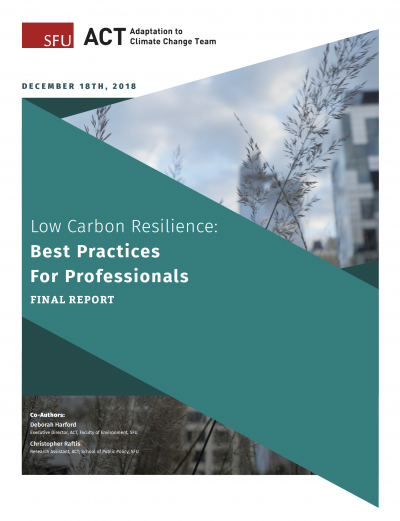 This is the first stage in ACT’s new Real Estate Foundation of British Columbia funded Integrated Climate Action for BC Communities Initiative looking at the low carbon resilience approach as both streams of climate action become business as usual. We would like to thank the 12 BC communities who participated in out first workshop and look forward to exploring the opportunities and challenges of integrating climate change mitigation and adaptation strategies at the community level. 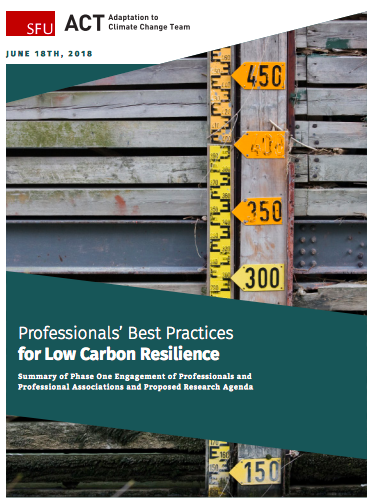 For more information on the low carbon resilience approach and to read the workshop report see here.